Definitely happy and excited that my mentor class is now live and I can begin the mentor program beginning September 21st in Cleveland. Personally, it is a wonderful opportunity for me to interact with other security professionals or those with interest in security. 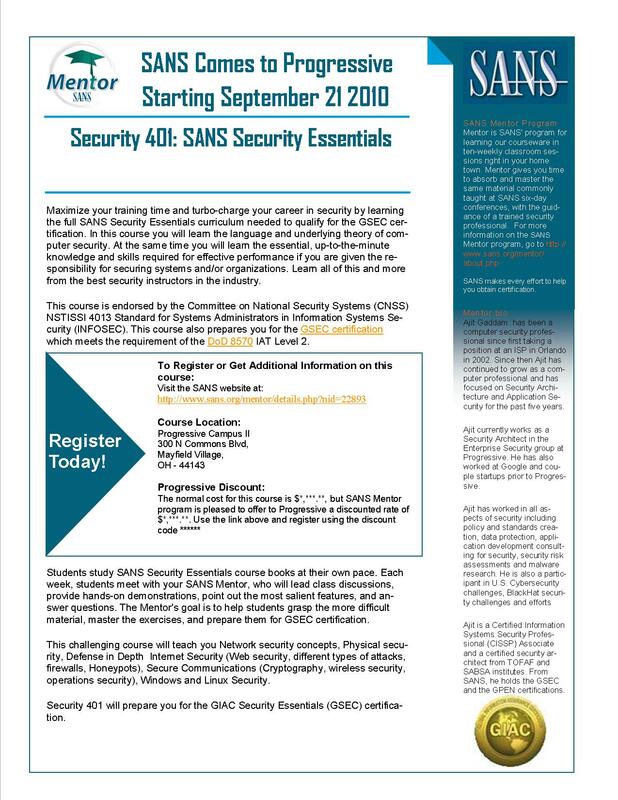 I am looking forward to helping interested folks leans the fundamentals of security through the coursework, share real world examples, tie it back to work scenarios, work with them on exercises and finally help them work towards achieving their GIAC Security Essentials (GSEC) certification. Here is the flyer that is being distributed.